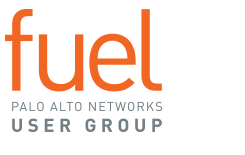 This Special Interest Group is for Palo Alto Networks customers who focus on computer-based systems that manage industrial control systems (ICS) and SCADA systems, such as those found in the energy, manufacturing and transportation sectors. Have a related job role (security engineer/architect, plant manager, network engineer/architect, process control engineer, etc.) with direct involvement in securing ICS and SCADA systems. Membership is restricted, and all conversations should be treated as confidential. Information shared in this community may not be copied, distributed or shared outside of the group without the express permission of Fuel User Group and the content author. This community may not be used for marketing of products, hiring/recruiting, or any other conversations not tied to ICS concerns.